I am a sucker for penguins. Truly, is there anyone who doesn’t love a penguin? Their shuffling walk endears them to me. Their ability to stand stark still, as in deep meditation, awes me. And their ability to transform their inland awkward amble to such grace in the water, puts a grin on my face. We arrived in Puerto Madryn via our first overnight bus. (I’d heard for months about this first class bus experience…beds and food akin to a ticket in the front of the plane. Lets just say Argentina cross country bus travel has been widely exaggerated.) Hi Patagonia, the hostel we were bunking down in, was a quick five minute taxi ride away. 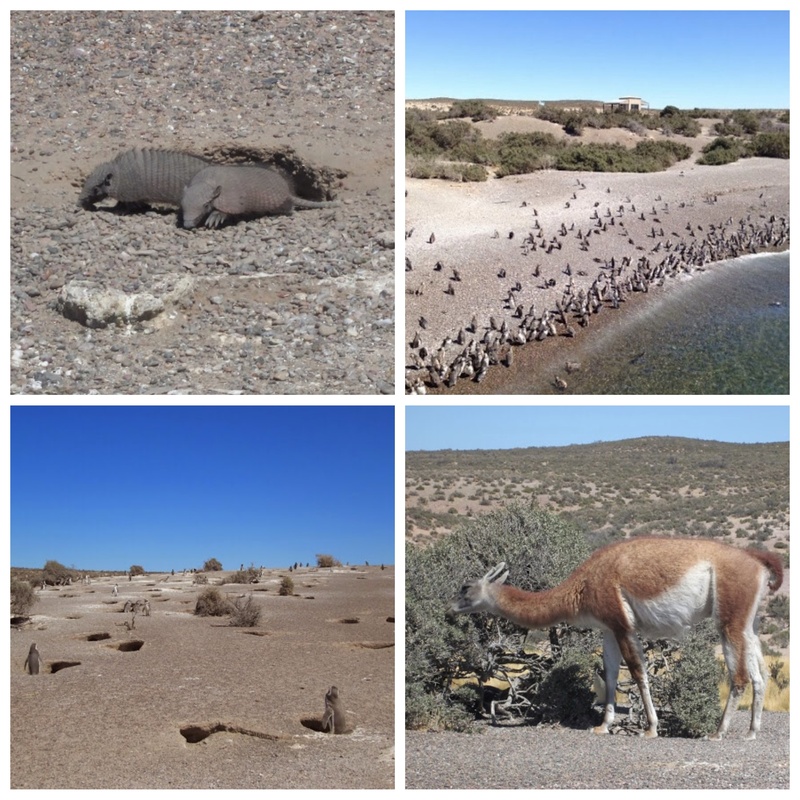 In guidebooks, Puerto Madryn is described as a non-descript town whose only purpose is to serve as the jumping off point to Peninsula Valdez and all the wildlife that comes with it. We liked it much more than planned. First off, it wasn’t Buenos Aires. Ok, that’s mean. Buenos Aires has so much to offer but two weeks in a large city was too much for us, so a small, approachable town suited us just fine. Plus it had the four S’s: sun, surf, sidewalks (! ), and seafood. As a family, apartments give us space and flexibility but the beauty of a hostel (besides the clear price differential) is the ability to get advice and book tours easily. That can be invaluable and was true of Hi Patagonia. We booked all of our tours through the hostel and that allowed us time to relax vs researching. 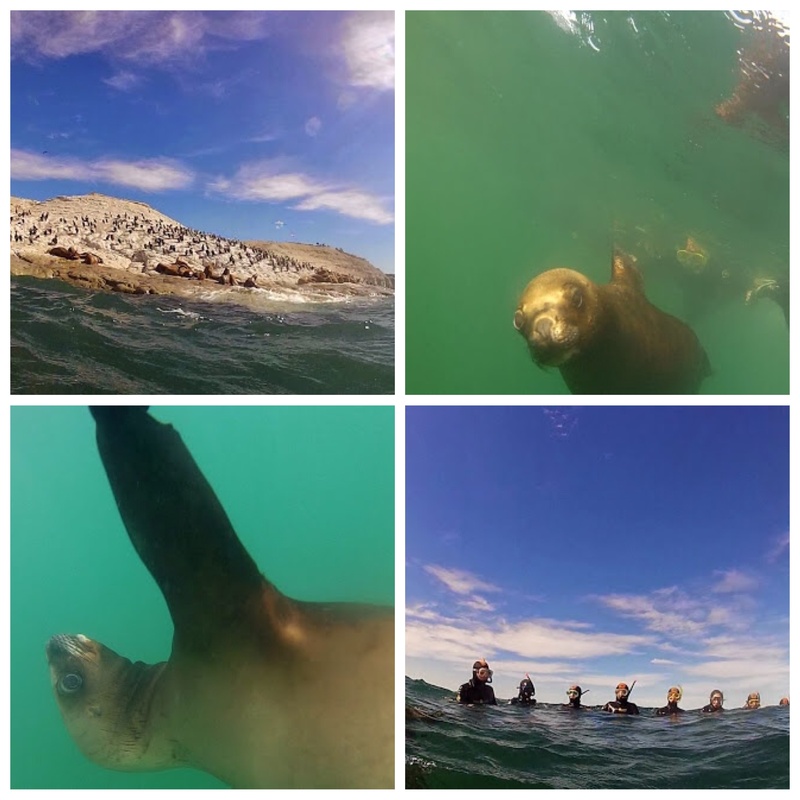 We chose a day tour that included seeing dolphins, penguins & sea lions. First up was a boat trip to play with the commorson dolphins, seemingly the love child of a dolphin and a panda. Not sure that there’s greater joy than dolphins playing alongside one’s boat. Oh yes, penguins. 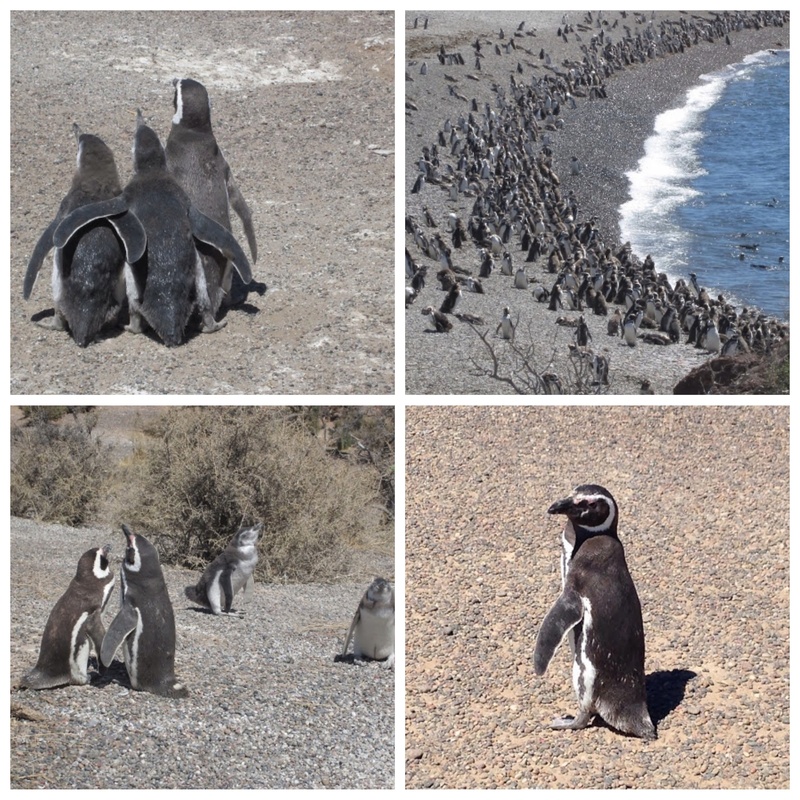 Punta Tumbo was our next stop, penguin central. Here Argentina hosts the largest Magellanic penguin population in South America. Seeing that many penguins, in their natural habitat, was positively overwhelming. I believe I grinned from ear to ear the entire time. In the end we did not visit what this area is most famous for, Peninsula Valdez. Another full day in a minibus before an overnight bus to Bariloche did not appeal. If it had been whale season, we would have made it happen but alas no whales in February. As we neared the end of our penguin visit, a sophisticated penguin walked down the boardwalk behind us. We stepped off the boardwalk to give him space to pass and as he got the the end, he took a moment, looked around, and then bent down and with stiff determination…jumped off the boardwalk. And I fell in love. 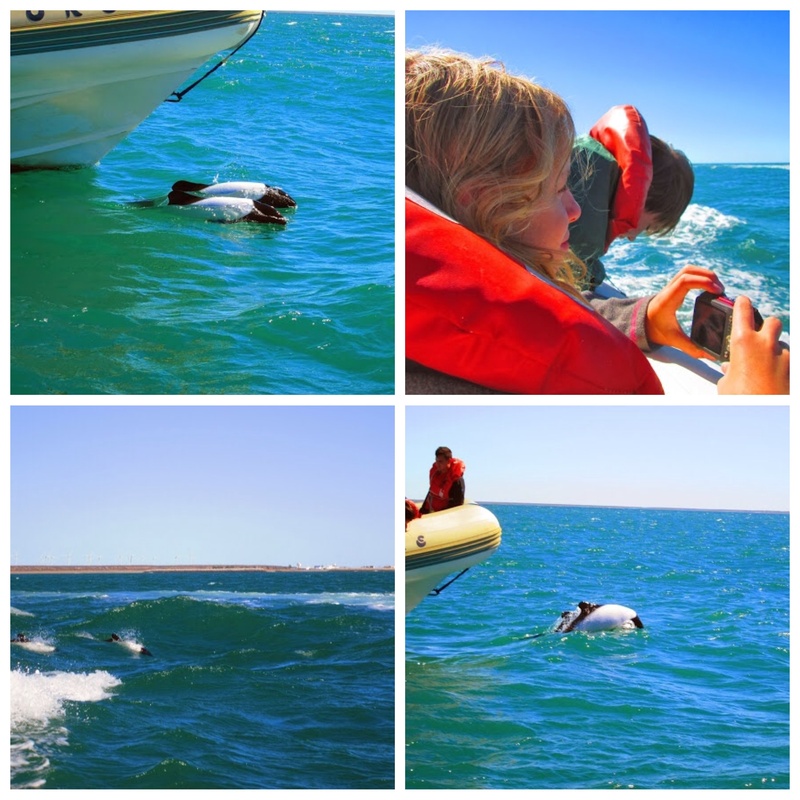 With the penguin and with Puerto Madryn.